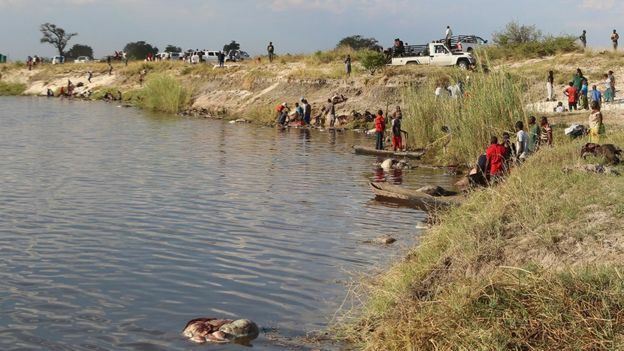 More than 400 buffaloes drowned after being chased by lions into a river. 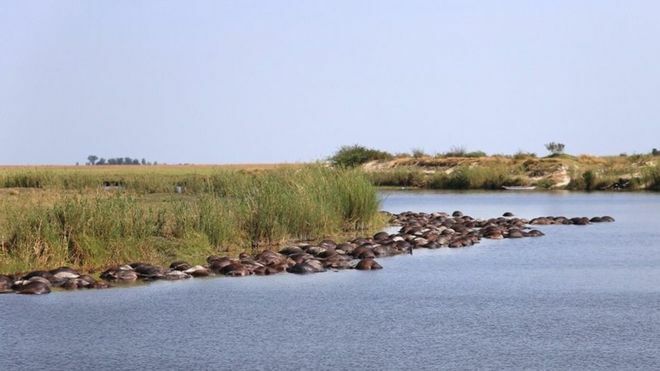 The unfamiliar event occurred in Chobe River, northern Bostwana near the border with Namibia this week. Early investigations by authorities suggest that a large buffalo herd was grazing in Namibia. They stampeded into the Chobe River after a pride of lions chased them. More than 400 animals were believed to have drowned due to the massive movement of buffalo trampling, and falling from steep river banks. Mass drownings are not common in these areas. The buffalo herd had a strength of 1000. Locals sometimes kidnap a few to have a gala feast. Namibian media reported that the incident occurred on Tuesday night. The weather was rainy, clouds blocked moonlight so the buffaloes were blinded. 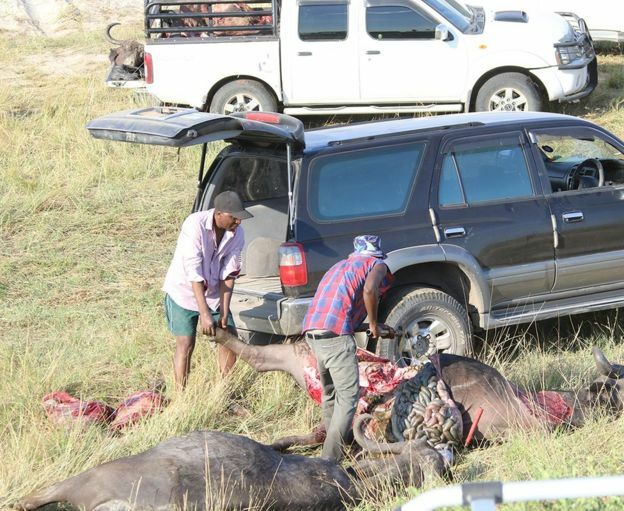 No government assistance to clean up, locals themselves fish out the bodies of the buffalos. People in nearby areas were seen collecting the carcass, loading them in trucks so that they could eat them.